Our Whisky Ladies November session quite randomly ended up with a trio of Highland drams plus the delicious Compass Box Great King Street Glasgow Blend. As a tasting group, we were no strangers to Compass Box and its whole new calibre of blends. 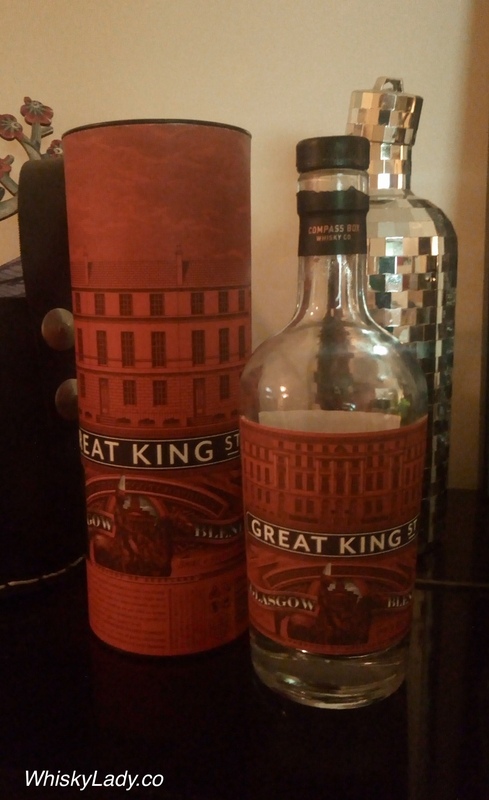 In an earlier session we had even tried a limited edition Great King Street blend – the Experimental Batch. Overall we enjoyed our wee nip of this blend and the small bottle was completely polished off! In his 1930 book “Whisky”, Aeneas MacDonald teaches us that Glaswegians historically preferred fuller bodied and more flavour-packed whiskies than people in other parts of the world. So what better name for a whisky such as this? You can also see exactly what this blend is made of, courtesy of the fabulously transparent disclosures of Compass Box. Highland Salt – Old Pulteney Dunnet Head 46% – A proper Old Pulteney with every element in balance – sweet, salt with light smoke and spice too! This entry was posted in Blends, Scotland and tagged Compass Box, Great King Street, Great King Street Glasgow Blend by Carissa Hickling. Bookmark the permalink.